Abstract : We present the first method to animate sheets of paper at interactive rates, while automatically generating a plausible set of sharp features when the sheet is crumpled. The key idea is to interleave standard physically-based simulation steps with procedural generation of a piecewise continuous developable surface. 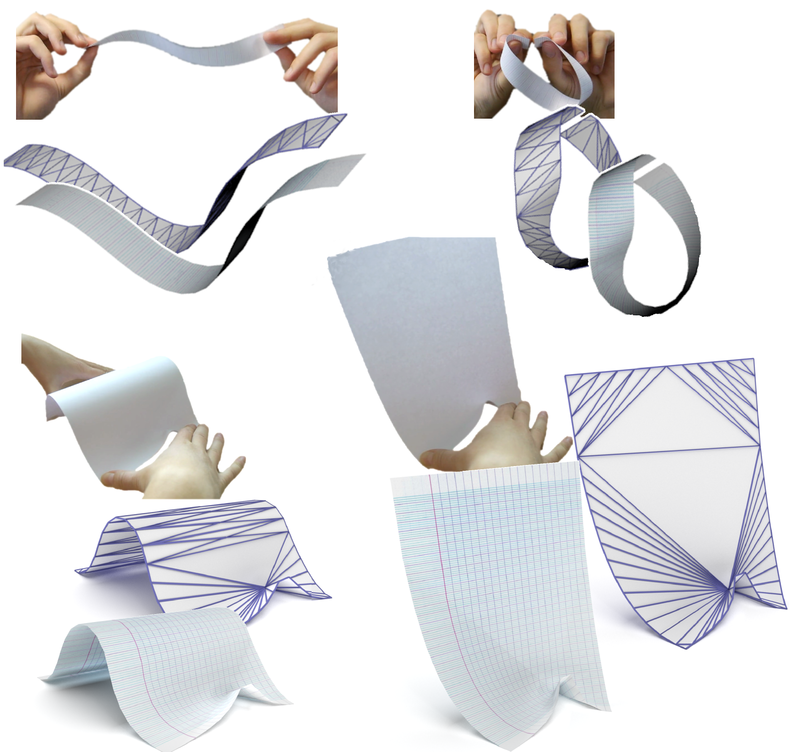 The resulting hybrid surface model captures new singular points dynamically appearing during the crumpling process, mimicking the effect of paper fiber fracture. Although the model evolves over time to take these irreversible damages into account, the mesh used for simulation is kept coarse throughout the animation, leading to efficient computations. Meanwhile, the geometric layer ensures that the surface stays almost isometric to its original 2D pattern. We validate our model through measurements and visual comparison with real paper manipulation, and show results on a variety of crumpled paper configurations.